Some like theirs doughy, covered in salt and dipped in mustard or hot nacho cheese. Others prefer the crunchy kind you eat right out of the bag. Still others love the sweet and salty combination of a pretzel covered in chocolate. We agree with those people most. Sunday is National Pretzel Day, and here at CK Products, we’re psyched about the idea of grabbing some pretzels and covering them in delicious chocolate. Our favorites are Mercken’s and Clasen Confectionery Coating. Both are easy to melt and apply to the pretzel. Since these confectionery coatings don’t require tempering, they can be melted in the microwave. Put the coating in a microwave-safe container in the microwave for approximately 15 seconds. Remove and stir. Repeat this process, in 15-second increments, until the coating is melted. Do not overheat. If your coating is too thick, add some Paramount Crystals. These crystals are added to coating to help thin and make creamier. Once you have your chocolate at your desired consistency, you’re ready to cover your pretzels! It can be as simple as dipping small, twisted pretzels into the coating or dipping pretzel sticks. Dip as many times as you like, each time adding another layer of chocolate onto your pretzel. Lay out to dry on a sheet of waxed paper. If you really want to get fancy, while the chocolate is still wet, add some edible decorations like jimmies or edible confetti. 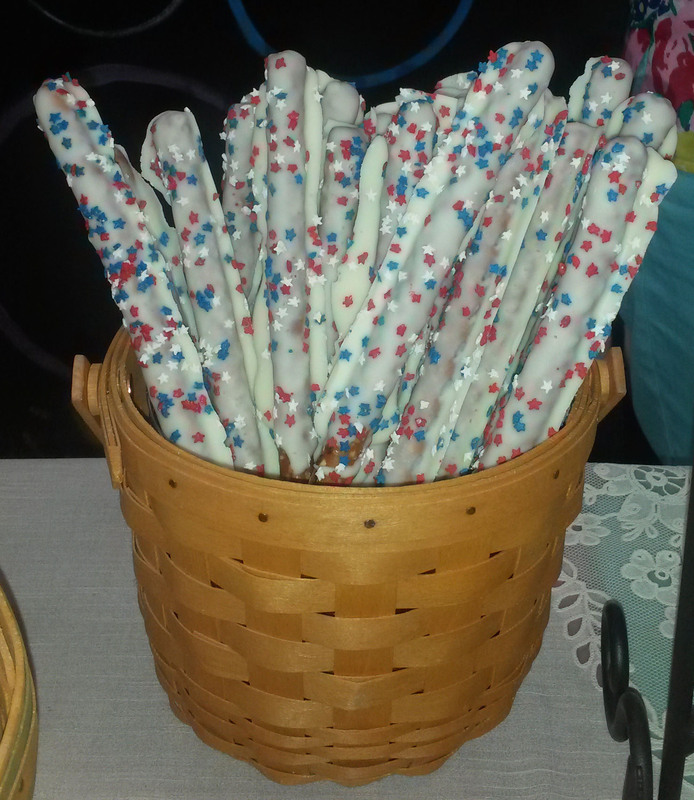 Or use CK Products Candy Writers to add fun details to your pretzels. However you choose to celebrate National Pretzel Day, CK Products hopes you embrace this delightful food holiday!